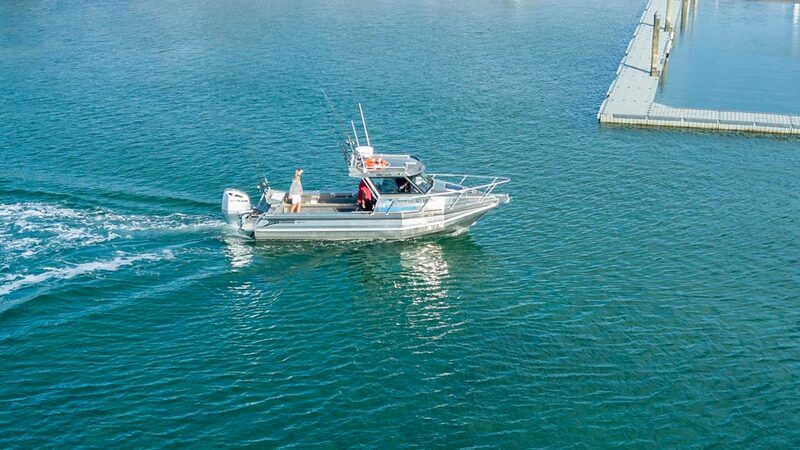 Fishmeister offers fishing charters from Mangawhai, 80 minutes north of Auckland. 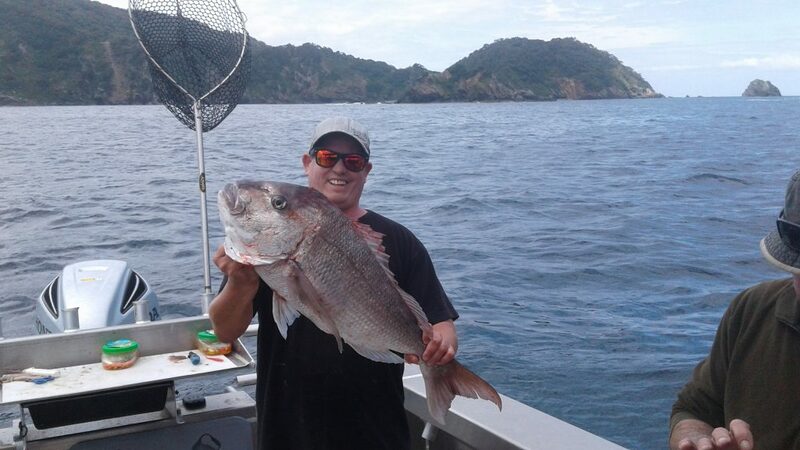 The waters north of Auckland and in between Mangawhai and the Hauraki Gulf’s outer islands are rich with Snapper, Kahawai, Tarakihi, Gurnard, John Dory and Kingfish, making for the ideal offshore fishing experience. Whether you’re an experienced fisho or a fishing novice, Fishmeister’s fishing charters are a fantastic way to spend time on the water. Clear blue seas, stunning rock formations, pristine white beaches and pods of dolphins, this part of Northland has it all. Fishmeister’s water taxi service can take up to 8 passengers to any Hauraki Gulf destination where there’s a wharf. 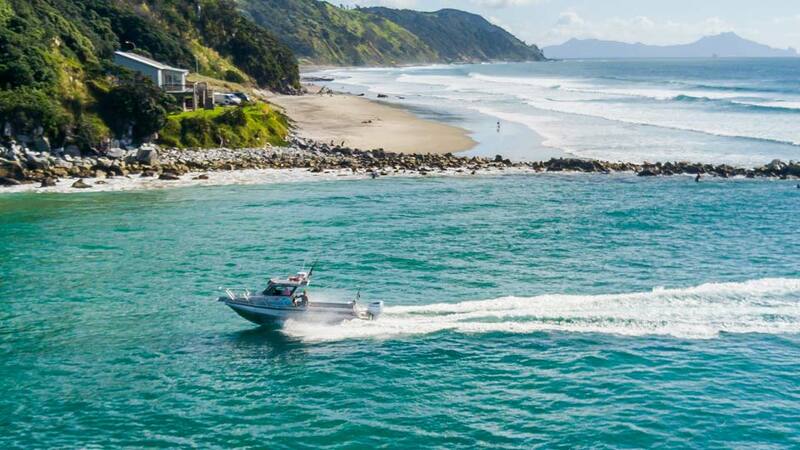 Fishmeister is based in Northland’s beautiful Mangawhai Heads, situated between Auckland and Whangarei and offers fishing, sightseeing and transport in the Hauraki Gulf and Northland. Mangawhai is hard to beat when it comes to fishing spots, whether it’s Sail Rock or the Hen and Chickens right out in front of us, or the Mokohinau Islands further afield. Whether you’re looking to catch some impressive fish or just enjoy the excitement of fishing in the waters off Mangawhai and Auckland, a Fishmeister fishing charter won’t disappoint. The Fishmeister Senator Pontoon is custom designed to provide maximum fishing space and has plenty of power to get you and your group to the ideal fishing spot for the conditions. The east coast of northern Auckland and Mangawhai is rich with marine and bird life, known for consistent fishing and home to a series of fascinating islands that provide a beautiful backdrop. Come fishing for a day or ask us about a package that lets you explore the islands of Auckland’s Hauraki Gulf and Northland’s Mangawhai itself, complete with accommodation. Fishmeister skipper Mike Leese is Maritime New Zealand Skipper Restricted Limits qualified with over 30 years boating and fishing experience.